Facebook Has Acquired Divvyshot. The Most Gorgeous Photosharing Site Yet. Facebook just acquired Divvyshot, a Y Combinator startup that we reviewed in detail just over a month ago and described as the most gorgeous photosharing site out there. According to TechCrunch, the acquisition price was undisclosed and primarily to get hold of the startup’s founder Sam Odio. Divvyshot will be shut down within 6 weeks, which is a shame because I was just beginning to enjoy it having ditched Flickr for it. Divvyshot’s 40,000 users will still be able to use the site but no new accounts will be able to be created and its iPhone app will be taken off of iTunes. There is also a winding down program (details here) that will gradually see the app remove features before redirecting all users to Facebook. What made Divvyshot unique? It was/is quite simply one of most beautiful photo sharing experiences I have come across online. 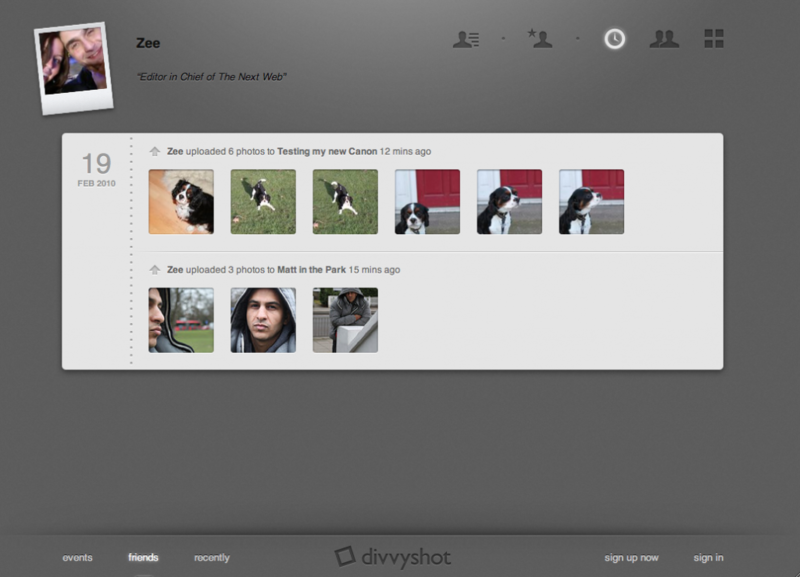 Lets hope Odio brings same level of elegance he brought to Divvyshot round to Facebook.